and a sighn to indicate the boundary of a sacred place and set it off from the realm of the profane. 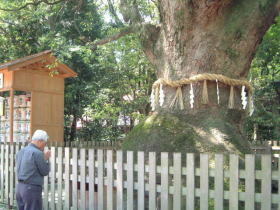 They are hung on the shrine buildings (pic. 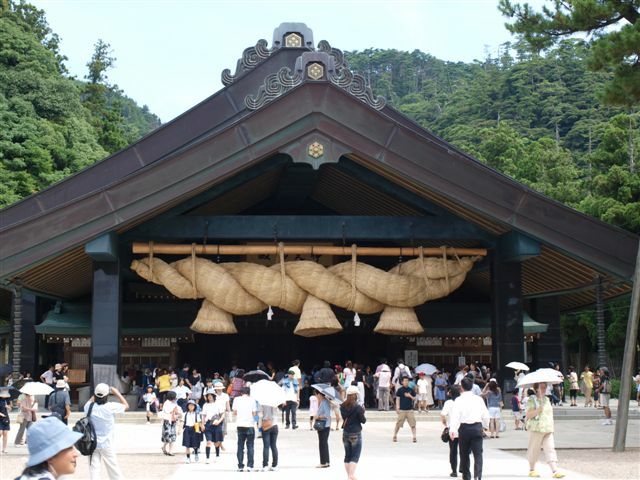 3), sacred gateways (torii) etc. to distinguish between secular and sanctified areas and to ward off evil. 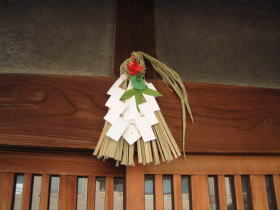 in which the spirit of a deity is thought to repose..
Special shimenawa are made at New Year's. 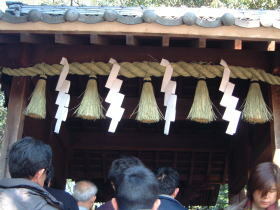 They are decorated with various auspicious objects (pic.1).